Very backlit, but a Class 60 in the sun is always worth a picture. 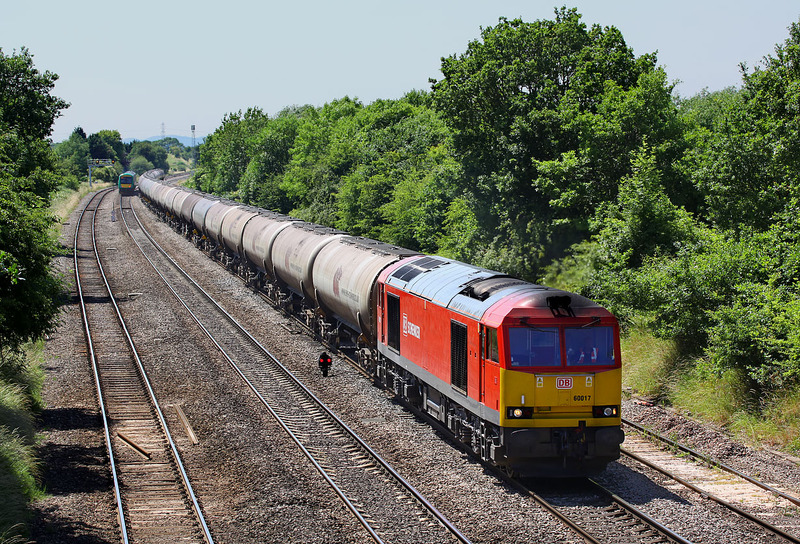 60017 approaches Bromsgrove on 9 July 2013 with the early running 6E41 11:41 Westerleigh to Lindsey Murco oil empties. The London Midland Class 170 just manages to get out of the way in time!